A group of citizens in love with Questa NM. 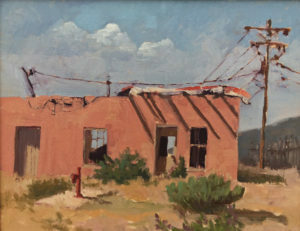 Wild Rivers Plein Air Paint Out-“Places We Love in the Questa Area”. This years Special Themed Category will be Wild and Scenic Rivers and Trails in recognition of the 50th anniversary of the Wild and Scenic Rivers Act and National Trails System Act both signed in 1968. The paint-out is open to all artistic levels, ages and art mediums. It will be held at beautiful Wild Rivers Recreational Area and the surrounding Questa area from July 17- 20th, 2018. July 21st from 5-7PM and July 22nd from 10-3PM. Theme Designed by InkHive.com. Questa Creative Council © 2018 . All Rights Reserved.